I am currently trying my best with the limited (self-taught) skills I have with WordPress and WooCommerce to create a sublimation product based website. I have noticed there is very little out there that allows customers in my niche market to upload their own custom artwork and have it wrapped around a 3D product (e.g. a coffee mug) for viewing prior to purchase. As they say, “If it doesn’t look good, no one will buy it” and that’s the problem I currently have. My current website feature relating to custom products is very clunky and I don’t feel as though it is eye-catching enough to make my customers want to stay on the website and try it out. The sublimation industry is huge, the products on offer are on the increase and people are crazy for personalised products, especially when they are the designer. They like to say ”I designed this” or “My child drew this and now it’s on my mug”. People might not know what ‘sublimation’ means, they don’t need to (I do to make their product) they understand ‘personalised’ by having real time user friendly tools on my website, this would allow greater interactivity to my customers and give them control of the design, instead of relying me to interpret what they want and hopefully getting it right. If I had the ability for my customers to create their artwork live (on set templates by way of an addon), where they can in real -time, upload their photos, add text etc. of their choosing, which is then applied to their selected product, with the ability to rotate it 360 degrees, to see how the finished product will look. So, they are happy with it before they commit / click the ‘buy now’ button. Then when the order has been submitted; allow me to be able to print out their design as ‘finished artwork’, ready for me to sublimate. This would be an awesome for me as the website owner, and an awesome selling feature for like- businesses. 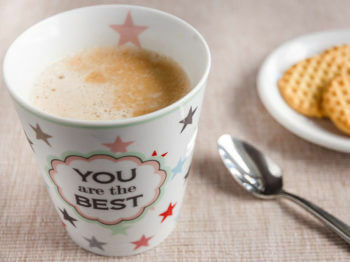 Some of the products we offer include; Coffee mugs, latte mugs, sports drink bottles, plates, mouse pads, coasters, mobile phone covers, shirts, baby wear. I would even buy extra 3D product packages that are pre-made and ready to use. So that all is required from the end user is to import the 3D product package into the sublimation addon. So that as a start-up business, without the capability to purchase ultra-expensive standalone software due to practicality, this would allow flexibility and usability for both me and my customers. We awarded 1st prize to this idea because it proposes a solution that Brian is having with his own WooCommerce website, for which no good plugins are available. This is how all the best ideas are born. Brian has fleshed out his idea beautifully and described how it would work and how this would meet the needs of his target market. Instead of listing WooCommerce products in a traditional layout, customers will have a more interactive experience where they choose options and create a bespoke product. In the past, several other people have contacted us to request similar functionality for their own WooCommerce store and we haven’t discovered any good off-the-shelf options. There are many personalised e-commerce websites such as photo printing companies but these don’t tend to use WordPress. It’s a shame that WordPress and WooCommerce are lagging behind in this area. Add a zoom effect to the product images on mouseover, directly on the listing without going to the product page. Product sliders / carousels with different image transitions. A 360 degree image – in that way the visitor can rotate it around. Insert videos into product pages. Possibility of also clicking on it could open a pop-up with the video. And finally A/B testing with several of the former ideas. The better way to list WooCommerce products are the ones that have more conversions. With reliable data and stats you can determine which perform better in terms of different layouts, images and text for each product. Knowing which combination is the winner could increase future sales for these products. I love this idea because it actually consists of several creative ways to improve the way WooCommerce products are listed. These ideas could equally be used on product list pages, product tables or the single product page. All the ideas work together to create a more interactive user experience, immersing the customer in the product. Helping customers to visualise the product removes a lot of the uncertainty and barriers to buying online. This is achieved through zoom effects directly from the WooCommerce product list, eye-catching sliders with multiple images, 360 degree images and videos. Gerardo has finished off his idea nicely by linking it with an evidence-based approach to increasing sales from a WooCommerce store. A/B testing different combinations of his ideas would allow website owners to list WooCommerce products in a way that maximises sales. When you’re reselling products, let’s say from a manufacturer, to a local or a global audience, you don’t just need to focus on the look and feel, but much more on the SEO for the actual listing. To that effect, the most effective way of creating good rankings for a product is by creating useful content for potential buyers of this product, with the actual listing. It would be ideal thus, if one can actually devise ways in which to integrate a product listing with great content around that product, for SEO purposes and really and truly, for the benefit of your customers, which is the ultimate aim of search engine rankings. David is absolutely right that the look and feel of your WooCommerce product listings only matter if they appeal to your potential buyers, and ultimately improve your SEO and drive traffic to your site. This is the right way round to approach the design of any WooCommerce store. Another idea for listing WooCommerce products: Filtering multiple categories, attributes, tags (…) via text entry. (Could be also integrated within your plugin WooCommerce Product Table.) Your plugin currently offers a dropdown-filtering with one single attribute, for example. It’s time to list WooCommerce products in more creative ways! I hope this competition has helped to encourage the WordPress community to present WooCommerce products in more innovative ways. This is better than sticking to the standard layouts that are so widespread. WooCommerce powers over 40% of all online stores but that doesn’t mean that all WooCommerce websites should look the same. Thanks to everyone who entered our competition. We loved your fabulous ideas on new and exciting ways to list WooCommerce products. Tutorial: The Ultimate Guide to Listing WooCommerce Products.